Can you tell which office suffers from low morale? Believe it or not, some companies are still skeptical about the value of workplace morale boosters. Sure, morale is nice to have, their argument goes, but it’s not critical to our business, and therefore not something I need to focus on. Right? Well, Doubty McDoubterson, you couldn’t be more wrong. The benefits of high employee morale in your company can be summed up in one word: performance. Research shows that high morale organizations consistently benefit from less stress, which in turn means higher productivity due to reduced turnover and absenteeism. High morale is also a prerequisite of employee engagement, and multiple studies have shown that engaged companies outperform competitors in categories like customer service, retention, and profit. The reality is, businesses can’t afford to NOT focus on morale. But to put the argument to rest, we’ve compiled a list of 17 Proven Morale Boosters That Won’t Break The Bank. Free bonus: Download a cheatsheet of our Top 50 Fun Office Games and Activities That Make Work Awesome. Easily save it on your computer for quick reference or print it out the next time you want to plan a fun event for your coworkers. Ok, don’t get too weird, (let’s not get ourselves sued), but a little weirdness is a-ok. In fact, it’s beneficial to your business. How? By embracing the quirky, off-kilter aspects of your culture, you’ll lighten the mood in the office. The idea is to make things that people tend to dread – like meetings – more fun by doing something out of the ordinary. Ideally, you want to do things that are both weird and authentic, meaning things that reflect the culture of the organization. Because weirdness = fun. Allowing for weirdness also promotes outside the box thinking and creative problem solving. 1. Embrace your inner weirdness. 2. Take something boring – a weekly product meeting for instance – and make it extraordinary by injecting something unexpected into the agenda. Start the meeting with jumping jacks, or, like Michigan-based Menlo Innovations, require the speaker to wear a Viking Helmet. 3. Don’t force it! Do something that is authentically YOU. In the last few years, DIY office supply expression has been elevated to a true artform, with increasingly complex designs. The REAL fun begins when you inject some healthy competition into the mix. Recently, New York ad firms engaged in a very public Post-it art war, with each firm trying to one-up the other with large displays on the windows of their Canal Street offices. But it was Havas Worldwide who claimed victory with a massive mic drop. The display created buzz and lifted spirits around the city. 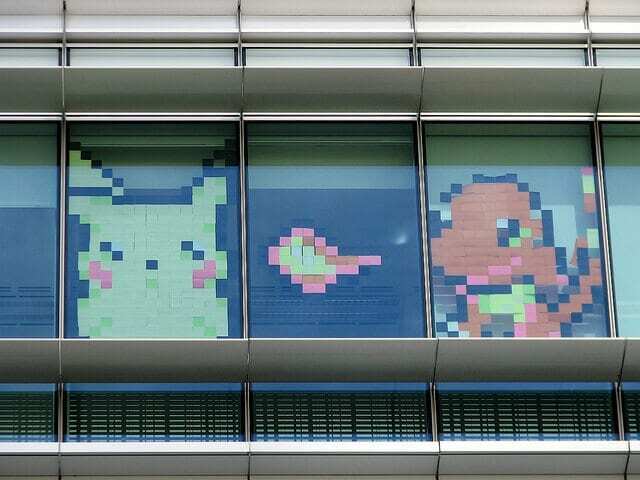 Post-it note art is the epitome of “surprise and delight.” It provides an unexpected lift and improves morale all over the workplace. Plus it’s something you can do on the cheap. 1. Choose an image. 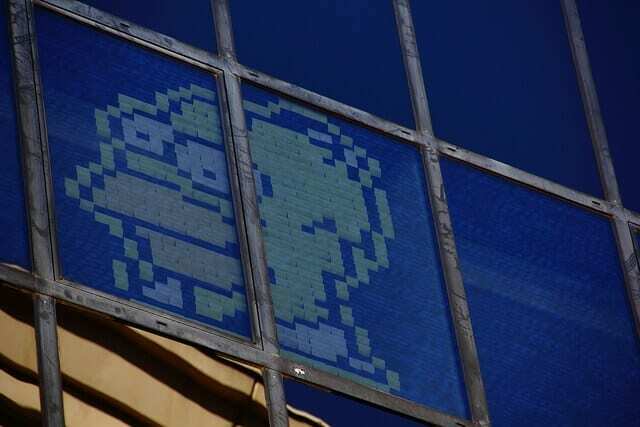 Classic pixelated video game images (like super Mario Brothers or Space Invaders) work great. 2. Plan your mural on a sheet of graph paper using available post-it colors. 3. Map out your wall space – or put it on glass to show your creation off to the world! 4. Apply your post-its. Remember, the surprise factor is key here. People love post-it note art because it inspires wonder and delight. The best way to do this is with a small team at night. 5. Post-it maker 3M has some advanced tips here. There’s a growing body of scientific research that points to the benefits of gratitude. These studies show that gratitude improves physical and psychological health, improves sleep, and lifts mood. The challenge for many companies is, how do you integrate gratitude into our work lives? At SnackNation, it’s part of our culture. We hold a Friday afternoon “Crush-It Call,” during which each employee calls out a colleague for “Crushing It” (i.e. embodying one of the company values that week), and names one thing that they are grateful for. It allows us to reflect on the week’s accomplishments and gets the weekend started on a positive note. “We hold an all-hands video call three times per week. Since we are remote, this is a great way to keep people connected. On Mondays, before going over the numbers from the previous week, we share a gratitude for a particular topic. Focusing on the negative is an easy trap that anyone can fall into. Expressing gratitude helps put our daily challenges into perspective, and aids in emotions like empathy, which is essential for communication. 1. Create a weekly all-hands meeting, either at the beginning or end of the week. 2. Choose a theme and have team members share something in their lives for which they are grateful. It can be work-related or personal. 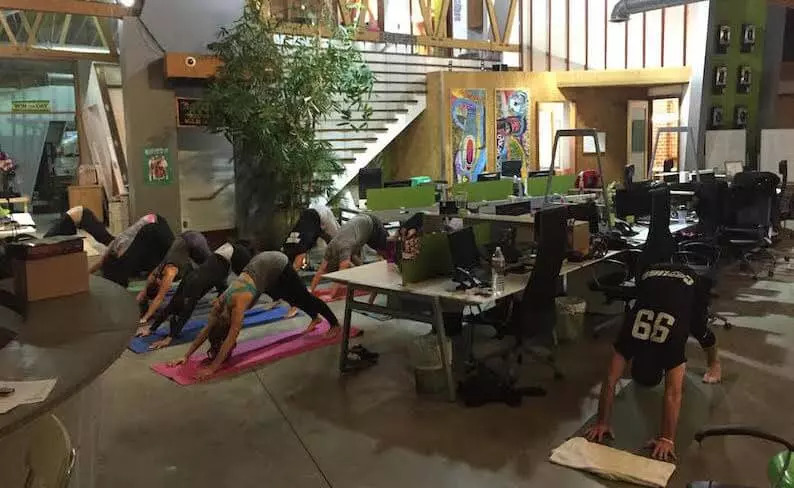 You’d think that something called the “Fail of the Week” would be the perfect way to decrease morale, but Los Angeles-based mobile gaming studio Scopely has proved that the opposite is true. As former GM Jason Weiss told the Awesome Office Show, during Scopely’s weekly all-hands meetings, team members share their biggest failure that week and what they learned from it. The point isn’t to call out mistakes, but to acknowledge that failure is part of the process and to share the lessons learned. The light-hearted tone of the fail of the week puts people at ease, makes risk taking easier, and actually improves morale. 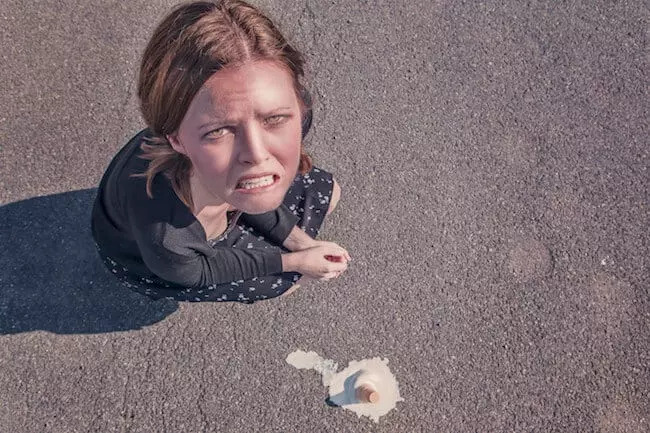 A healthy relationship with failure should be a part of your culture, particularly at growth-oriented startups, where big risks are critical to success. This practice communicates that it’s ok to fail, and emphasizes growth and learning. 1. Create a forum for sharing mistakes. All-hands meetings, weekly communications, or slack threads all work well. 2. Make sure to emphasize lessons learned, and what the individual is doing to prevent the same problems from happening in the future. 3. Make it fun! Brand it with a catchy name and create an award for the biggest fail. Some things in life are just indisputable. Like gravity, inertia, and Heisenberg’s uncertainty principle, the healthy foods to morale correlation is one of those immutable laws of nature. In all seriousness, healthy office snacks and meals provide a morale-boosting perk that will raise spirits and productivity. Mood and cognition are affected by our nutrition, so providing healthy options is not just a great way to demonstrate that your employees are cared for and appreciated, but provide them with the fuel they need to work at peak performance. Nutritious foods boost productivity, and engagement. Also, snacking affects your overall diet more than any other food category. 1. 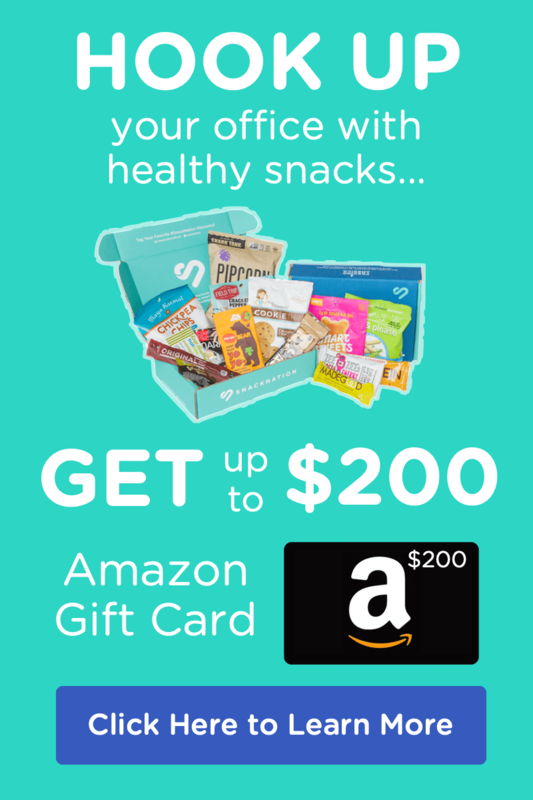 Try a free discovery box of SnackNation today. Your team will thank you for it. Ah, the good old fashioned happy hour. Is there anything that brings employees together better than good conversation and a few adult beverages? Social bonds are a necessary part of creating an engaged culture and high morale org. Nothing achieves this more than the tried and true happy hour. 1. Set aside a day of the week or month for a company-wide happy hour. 2. Have a different department host the event. Encourage each department to create a theme that reflects the character of that department. 3. Do it on company time and at the office to demonstrate your company’s commitment to fun. Garfield was right: Mondays can be tough. Even when you love your job, the weekends never quite seem long enough. That’s why it’s important to offset the occasional Monday blues. “One thing that we do on our own marketing team is Monday morning coffee. Let’s admit it, we all get the Monday blues. And most of the time, we’re not ready to jump head-on into our work on Monday mornings. So instead, our team visits various coffee shops around the neighborhood (we’re located in Seattle, so there’s no shortage of coffee shops within walking distance) just relax for about half an hour. Another great way to use coffee to boost morale? Coffee is all it takes for a manager to treat her report to a one-on-one outside the office. It’s probably the most important thing a manager can do. For one thing, just the act of scheduling these meetings tells employees their manager cares about them enough to spend time regularly chatting. But beyond that, savvy managers have these meetings down to a science. They start by asking the employee for any recent “wins,” rather than jumping right into the minutiae of day-to-day work. This gives employees permission to think about their effort in terms of achievements, not tasks. That’s the point at which it’s appropriate to move on to asking about frustrations and addressing them head-on. All the while, the manager gathers feedback, takes notes, and does it distraction-free. One-on-ones that start with positive progress and then address serious blockers help employees cultivate a winning mindset and get accustomed to feeling capable. Making a team member secure and confident is the most powerful morale booster any manager can give. Simple, but effective. It gets the team out of the office and immersed in the community, in a relaxed atmosphere. 1. Research local coffee shops. Half the point is exploring your neighborhood and getting to know the community. Don’t just settle for Starbucks! 2. Set an objective. It can be personal or work-related, but don’t miss out on an opportunity to have a directed conversation. 3. Appoint a note-taker to make sure any action items are recorded so team members can follow up. Think Nerf guns are kids stuff? Think they have no place in the office? 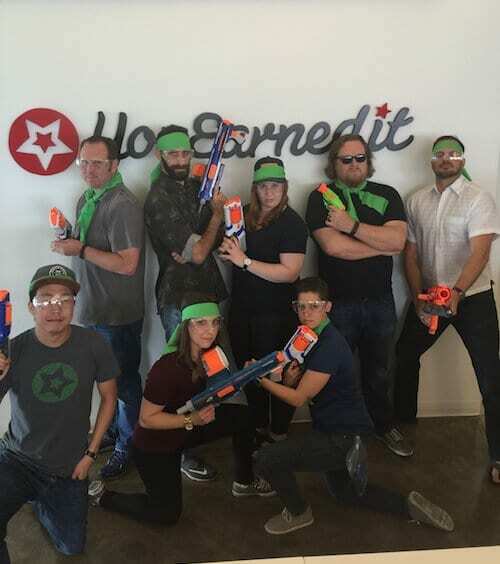 “Last week, we held our first ever Nerf Battle Royale. Our employees pooled together their YouEarnedIt points to fund and launch what turned out to be a powerful team-building exercise. It’s not just fun and games. Nothing says teamwork like launching a full scale Nerf invasion. The bonds you create will strengthen your team’s ability to work together and solve problems. 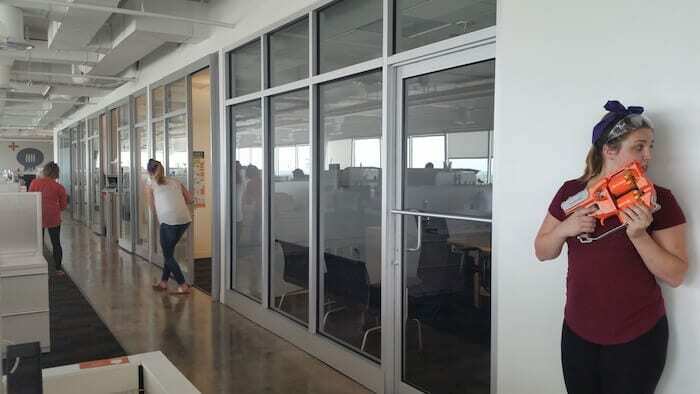 Plus, Nerf battles signal to your employees that it’s ok to have fun at the office. 1. Pick up some Nerf guns at a local toy store. 2. Set ground rules. Try a capture the flag style game, which involves strategy, teamwork, and collaboration. 3. Create a trophy for the winning team. You’d be surprised how motivating bragging rights can be. Nothing quite sets the mood like music, making it a fun and easy way to improve morale in any office setting. What’s more, certain types of music make repetitive tasks more enjoyable, improve focus, and can even make us more creative. Instrumental music works best, as lyrics have a tendency to distract. Luckily there are great instrumental versions of popular songs available from artists like the Vitamin String Quartet. Music not only sets the right mood, but can also help aid focus and productivity. 1. Subscribe to the SnackNation Ultimate Productivity Playlist on Spotify. This constantly updated playlist contains more than ten hours of instrumental music curated by the music fanatics at SnackNation. Artists include Explosions in the Sky, Classix, Tycho, Deceptikon, El Michels Affair, Menahan Street Band, and a ton more. 2. Press play, bliss out. Inspired by the likes of Uber and Lyft, the on-demand economy is in full swing. Workplaces amenities like massages, haircuts, and car washes are available on-demand in most major cities. At SnackNation, we utilize the LA and Orange County based car wash service Washos, which provides a quality, on demand car wash at a reasonable price. 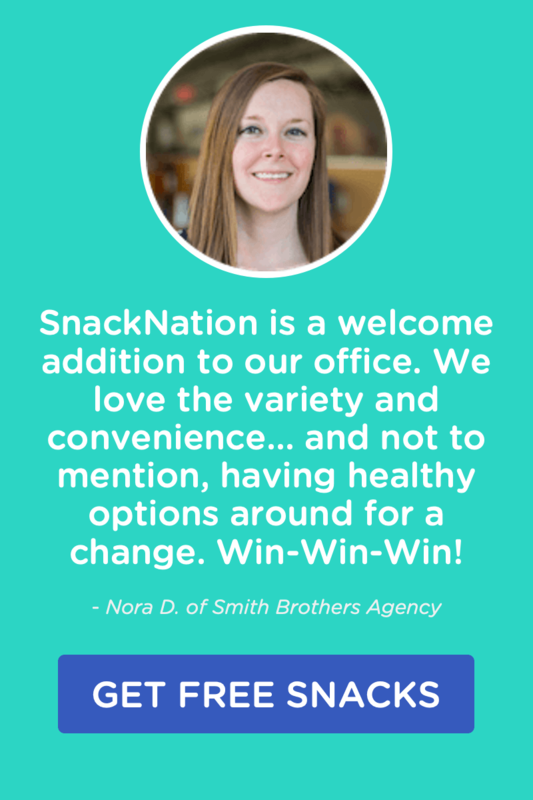 But since SnackNation just facilitates the service, it’s of no cost to the company, and still provides a morale-boosting amenity that our team appreciates. Your employees are always pressed for time. Help them get weekly errands done during the workday by facilitating access to these on-demand services. 1. Research locally available on-demand services. Massages, haircuts, laundry services, and carwashes are all popular in the on-demand economy. 2. Appoint a team member – either an HR staffer or office manager – to facilitate the service at the office. You can often negotiate a lower price based on a guaranteed number of customers. Studies have shown that green space improves mental health. Humans, it turns out, are hard-wired to appreciate natural beauty, and people are happier and less stressed when they have access to parks and open spaces. Of course, if you work in an urban environment or an area with harsh winters, this access isn’t always easy to come by. The solution? Bring the green spaces indoors. Barbara Moy and her team at CaseWare International Inc. out of Toronto, Canada decided to do just that. She and her team provided everyone at the company with a small potted sunflower at their desk. They found that the experiment brightened the office and lightened people’s moods, helping to offset the dreary Canadian winter. Plus, the mere fact that the plants required daily care reduced absenteeism. Cheap, fun, and proven to counter phenomena like seasonal affective disorder (SAD). 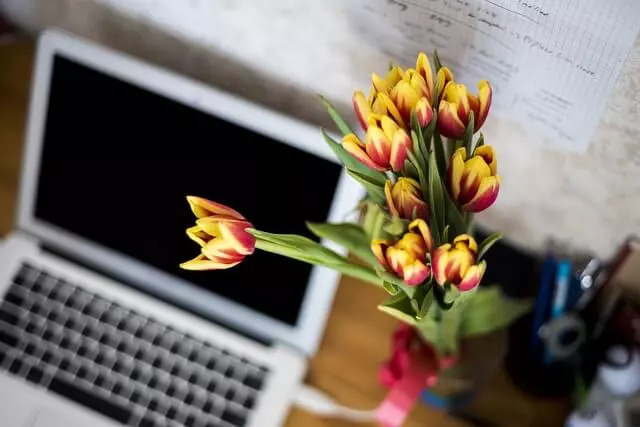 What’s more, a University of Queensland study found that an office outfitted with plants can actually increase employee productivity by 15 percent. 1. Buy small pots, potting soil, and seeds for easy to manage flowers like sunflowers (this will run you about $3-4 per employee). Tip: you can buy pollen-free varieties to accommodate employees with allergies. 2. Incentivize ongoing participation with awards for biggest bloom, most beautiful specimen, and greenest thumb. One of the most appreciated on-site perks at Google is their famous cafeteria, which provides gourmet-quality food for their employees. Of course, very few companies can afford to provide an amenity like this. Food trucks are a great solution because they provide access to new and exciting food options, without the need to build a kitchen or hire a world-class chef. This is completely cost-free, but you’ll get credit for providing your employees with gourmet quality lunches. Bonus benefit – your employees will waste less time driving to and from local eateries or grocery stores, and thus will be more productive. Score! 1. Research local food trucks in the area and contact their owners. Let them know that you can supply them with customers. 2. 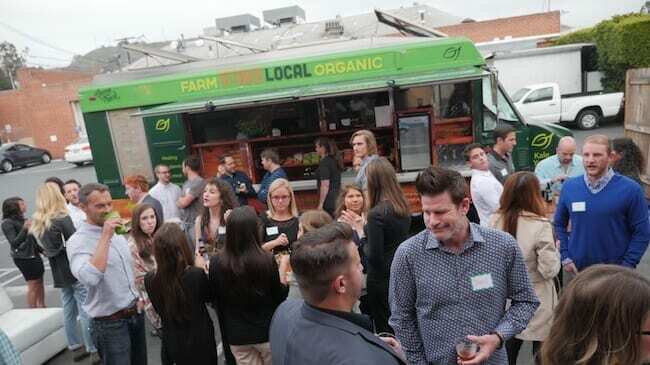 Promote food truck arrivals with a company-wide email. 3. Get in touch with an office manager or HR leader in neighboring businesses to coordinate and share information on food truck arrivals. Once your location has a reputation for providing hungry lunchtime workers, the food trucks will keep coming. It’s very common for morale to suffer when employees feel like there’s no room for growth. To ensure this isn’t the case, be proactive about growth and development. Personal development is huge here at SnackNation. We hold weekly personal development meetings (Sensei Sessions), during which senior leadership or regular team members present on personal development topics. We also recently launched Individual Development Plans (IDP). These plans ensure that team members are setting personal and professional goals and making steady progress. If you want to download a template of our IDP, click here. The result is a feeling that we’re all getting better, both as individuals and as a company. The success of your business depends on the quality of your people. Why wouldn’t you assist your employees grow and get better? 1. Have employees fill out Individual Development Plans, which layout a framework for personal and professional goals. 2. Plan monthly meetings with managers to track against goals. Most people want to read more, but simply don’t have the time. Gallup recently found that Americans with full-time jobs work an average of 47 hours per week, or the equivalent of 6 full work days. Nearly 40% logged more than 50 hours per week. With family obligations presumably taking up most of our free time, this leaves precious little room for personally-enriching activities like reading. The scope of your book club can vary. A book club that focuses on the Harry Potter series is perfectly ok, but for double the value, throw in some business or self improvement titles as well. Your company as a whole will likely benefit from new ideas and more focused workers. Sure, books are great, but book clubs aren’t all about learning – half the benefit is social. These casual meetings create the bonds and connections between individuals that help improve day-to-day morale. 1. Announce the formation of a company book club at an all-hands meeting or company-wide email, and ask employees to sign up and join. 2. Crowdsource book ideas to ensure that employees are engaged with the material. 3. Pick one person to present each week. Make sure the leader has some talking points to get the discussion started. 4. Assign snack (or wine!) duties to individual team members. Half the point is to socialize with colleagues in a casual, low-stress situation. Group fitness is a great way to kill two birds with one stone – create a bonding experience for your employees while improving the organization’s overall health and fitness. Exercise, of course, has been shown to improve mood and cognition. Group fitness adds a social element that will help strengthen personal relationships at work. There is virtually no downside to group fitness. It’s a great bonding opportunity, increases mood, and the health benefits will result in higher productivity in the long run. 1. You don’t have to hire a fitness coach or build an onsite gym. Start a running group or meet for group workouts, yoga, or meditation at a nearby park. 2. Appoint a fitness leader to keep the enthusiasm going and team members motivated. 3. Be consistent! The more workouts, the more benefits you’ll see. Recently, SnackNation Project Manager Hannah Avellaneda wanted to de-clutter her closet. But rather than just throw out or donate her clothing, she felt like she could be doing more. Noticing that the women in our office had great style, she coordinated with other office fashionistas, and the SnackNation Clothing Swap was born. It worked like this: the group all gathered their excess clothes, laid them out in the company warehouse, and traded with each other. The remaining clothes were then donated to a survivor of domestic violence through an organization called Becky’s Fund. 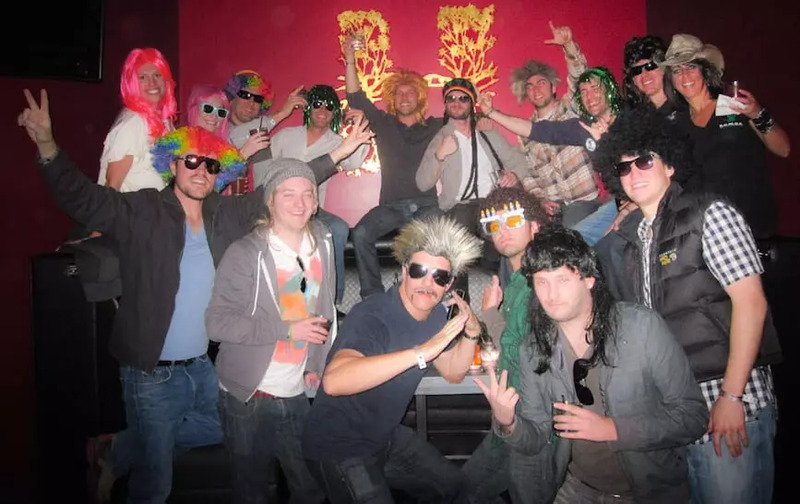 Not only did the clothes go to a good cause, but the swap became a great conversation starter, and the basis for several close friendships in the office. 1. Set a date for a clothing swap. 2. Have team members clean out their closets and gather excess clothes. 3. Find a space to layout clothes and trade items. 4. Find a suitable charity to donate to. Like expressing gratitude, volunteering takes you out of the myopia of your day-to-day work and provides a broader perspective. They’re a great way to get out of the office, relieve some stress, and do some good – something that will always improve morale. Besides the bonding benefits, nothing boosts mood and morale in an office than helping others. 1. Find a local charitable organization that aligns with your company’s mission. At SnackNation, we’re all about health and nutrition, so we chose Feeding America, which helps fight food insecurity for millions of Americans. 2. Arrange a volunteer day during a Friday workday. 3. Make it voluntary – you’ll still get a massive turnout, and it will be more meaningful when people chose to donate their time. As you can see, morale boosters don’t have to break the bank. There are tons of effective solutions that you can implement at little or no cost to you. So what are you waiting for? Have a great idea that you don’t see above? Let us know in the comments! We’d love to hear it. I love the nerf battles! We are going to be ramping up to do this in our office 🙂 So many great ideas here! We volunteer quite often as a team but are always looking for new ways to get involved with the community. I love the idea of the company bringing green into the office with plants, instead of employees having to purchase plants. It’s a great idea. The book club is also a wonderful idea (I like it that MyEmployees doesn’t have it cut into employees lunch breaks). If the books are too “business”-minded, I’d love to do this. No doubt healthy snacks give double the satisfaction for employees: free food that’s tasty, and it’s also healthy, won’t make employees tired (from too much sugar). I really enjoyed this article! These are some great tips to keeping the work place fun and exciting! I really liked the idea of doing a “fail of the week”. Often times people beat themselves up over a mistake. The thing is we are all human and we all make mistakes. So instead of feeling embarrassed or ashamed why not face it head on and learn something from it. I think I will suggest that we do this in our office! We hold a year-long photo contest then have employees vote on the photos. The photos with the most votes are used in next year’s company calendar and large canvas prints are made to adorn our walls. In my opinion, #3 Express Gratitude has the biggest affect on an individual and workplace. This is the simplest task that often gets overlooked because of the lack of degree of difficulty. By doing so, people feel wanted and acknowledged for their work. Our office likes alcohol. In and out of the office happy hours are a huge winner! Yep… happy hours are tried and true. Thanks for sharing, Morgan! I am trying to get more people I work with to do a happy hour outside of work. It would give everyone a chance to interact outside of the stress of work. Lots of great ideas here. Our office is very small (7 people) and all accountant types… pretty straight laced… slowly trying to break down the barriers with trivia quizzes at our monthly meetings and making the kitchen more of a gathering place with our Snack Nation Box! Great to hear, thanks Laura! That’s definitely one of the benefits. Food brings people together, and people who “break bread” together tend to bond. Richard Sheridan talks about making the office more fun in his book Joy Inc. Tons of fun and different culture ideas in there. 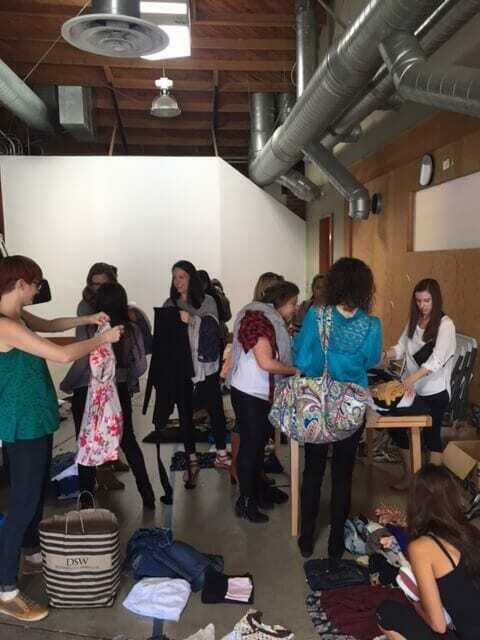 I wish we could do a clothing swap — sadly I work in a male-dominant company with not much interest in clothes. However, we definitely excel in the happy hour category. We have a Friday Beer Cart which people are always ecstatic about. Even though there is always free beer available in our fridge, the guys go wild for having it brought by their desk! We’re actually doing another clothing swap with male employees soon. If clothes aren’t your thing, maybe there’s something else you can swap? Old sporting equipment (golf clubs, surfboards, skis), or old computers. You can donate the leftovers to a local school. Love the crushing it meetings. We have shout outs in our huddles but making it really its own thing may get the spirits up. Definitely want to start implementing the biggest fail of the week. Fail of the week is one of the coolest ideas I’ve heard – let us know how it turns out, Ashley! Great article and great ideas. Will try a few. Thanks. Thanks, Judi! Let us know which ones work for you. We have brought in a food truck before and it was such a great lunch break. Everyone got to hang out and eat good food. It really brought up morale in the office. Nice! It’s amazing how food can lift people’s spirits. My God. “Steve, I will cut you.” That made me laugh out loud at my desk! All of these are great! Would love to look into Squeegy and your version of Happy Hour for our office. Of course, getting a games room is a goal in its own! If there isn’t the equivalent of Squeegy in your city yet, you can also partner with local businesses to have them come in for services like carwashes, laundry, or haircuts. It’s great exposure to new potential clients, so it/s usually a win-win! We actually do the group fitness at a set time three times a week. It’s a nice break and a quick way to catch up with coworkers. Love the Nerf war idea! I work in a very creative environment so I know we’d get some crazy, fun ideas for this! I live in Austin, TX and our city’s motto is “Keep Austin Weird” so the 1st Morale Booster is pretty easy to come by in our office. Just yesterday, we had a “mohawk off” – people styled their hair in mohawk fashions and we all had a ball…laughing and watching this weird fashion show. Yes! A mohawk-off sounds amazing! Are there pics you can share?? Thanks Heidi, we definitely agree. This practice spreads the knowledge we gain from individual mistakes to the rest of the org. A Post It War will be going down soon in our office. We’re currently making internal department moves and we’d had 10 new hires the last two months so this will be the perfect (and inexpensive) team building activity. We have windows that back up to the Atlanta Beltline so local bikers, walkers, runners will have something fun to look at as well. Yes! Please share pictures when this happens! We actually do a lot of these in our office – I personally have a mini Nerf gun at my desk. 🙂 I LOVE the coffee idea in Seattle. Here in San Francisco, we’ve got a lot of local coffee vendors so this would be really fun to try! Awesome, Chantal! Let us know how it goes. We need nerf guns in our office! I would absolutely LOVE to bring some of these activities into my offices! We have so many good corners and pillars to hide behind, that a nerf gun war would be incredibly epic. Also, I can see a happy hour mixed with post it art being not only fun, but ending in some hilarious creations. You are very welcome, Jeanne! We are about to move into a hip, new office space so I am excited to implement many of these ideas. Nerf Battles are definitely happening! I love the idea of holding a photo contest. We’re moving October 1 so I think I might hold a 3 month photo contest starting now. The winners will be revealed upon move in when the photographers see their pictures up on the walls of our brand new space! Love that idea, Desiree! It adds an element of anticipation, and it will be really cool when the artwork in your new space was created by the people within your organization. Thanks for sharing. I love the fail of the week idea! We all make mistakes and it’s always nice to remember that we’re all human. Thanks Hannah – we agree, it’s a great way to signal that it’s ok to make mistakes here and there. The last thing you want is an organization that never takes risks because they’re too afraid of being wrong. We really wanted to do the post it challenge!! We are always looking for new ways to express gratitude. I’m excited to try some of these. #3 is great. I love it because it doesn’t take a lot of effort to make someone’s day or even week just by giving them the credit they deserve. A lot of people do not feel acknowledged and just something small like that is just amazing. I would love ideas that could be applied to our employees, with them being on the road all week long we’re always looking for ways to show them they’re appreciated. The food truck idea is great! I really love so many of these ideas, especially a book club and expressing gratitude. They are just two simple, low cost things that could really bring people together! We currently do activities together outside the office. Such as volleyball and yoga. We have a conference room that is labeled Ping-Pong Conference Room and when not be used for meetings the tournaments begin. But I love the Nerf ideas. I’m sure it is going to be a big hit. I thoroughly enjoyed this article – you provided excellent examples and practical ideas that can be tailored to any company. Employee morale has always been a high priority for me in my various roles and this article gave me some excellent suggestions. Thanks! I have to figure out how to make Nerf battles happen. The plants on the desk is a great idea as well. We already have some low key nerf battles here. It would be great to incorporate the whole team. I also love the post-it idea. Our space has a ton of window that are visible to outside world. I’m going to work on Coffee Mondays. I think this will be a great way to start the week and bring everyone back in from the weekend with a positive vibe. We do volunteer days every other month, then treat everyone to dinner and drinks after. It’s been great in helping build cross departmental relationships. Can’t wait to try some of these ideas with my team! Awesome! Let us know how they work out, Julie. We recently bought four Sonos speakers and have a collaborative Spotify playlist. 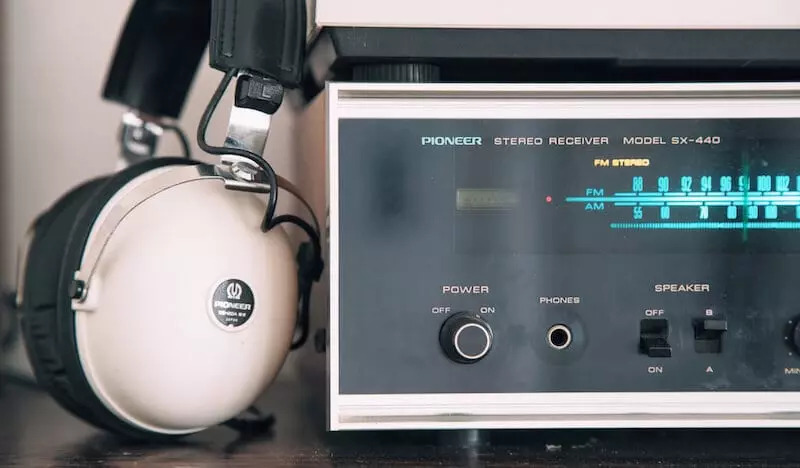 As a young group, it’s fun to hear what other people like to listen to, and keeps the energy up while making cold calls during the dog days of summer where voicemails reign supreme. Although as a predominately “older” environment we had to make a few rules, but overall it seems to be working well. Love the idea! Out of curiosity… what were the rules you had to implement? Great ideas! I’d love to try the planter idea. For the holiday season, my team does a volunteer day and then ends with a movie and happy hour. Recently, we visited a puzzle room where we split up into teams to compete to see who could make it out of the room fastest. It was a fun way to foster some healthy competition and build teamwork. Awesome ideas, Maris, thanks for sharing! I’m a huge fan of volunteer days – especially when you can tie the activity to your company’s mission. We have done some of these ideas, but one we have not, but definitely will… is the post-it note challenge. I love it, and we have big windows to decorate. Thanks. You’re very welcome! The post-it note idea is great – it’s super fun, and sparks creativity in your org. The plant idea is fantastic! I will definitely be doing this as we approach the colder months. I think it might be fun to provide supplies for decorating the pots too. And the idea of making it into a green thumb contest is even better. Awesome, thanks Anna! Would love to hear how your team enjoys it. The clothing swap sounds like a great idea! Definitely going to implement that this month at my office. Although, I’m not sure how many people in my office in India will buy this idea!. Nevertheless, just discovered this blog while surfing the web and I must say, the content is quite brilliant. Can you post something about healthy snack options that are available in Asia/India :)? Please update us on how the clothing swap goes! It was one of the coolest things we’ve done in our office. Morale boosters are totally worth it. I’ve seen such a difference in the employees when the bosses show them that they care and want to do something to give back for everything we do. We haven’t done anything nearly as cool as the ideas listed here, but I really want to try the Post-It Note Wars. Thanks for the great ideas! Love that Personal Development was noted, as I think this is great! It shows that companies are invested in their employees and their continued growth. You nailed it, Denali! Personally, it’s what I love about our company the most. These are great ideas! I especially like the ‘Get Weird’ and we do something that falls into that category in our office: to encourage mundane meetings to go as quickly as possible, we often conduct them while standing. If it goes long enough that someone sits down, the host knows they’ve likely gone a bit long, and we all toss Nerf footballs at him/her to move things along. 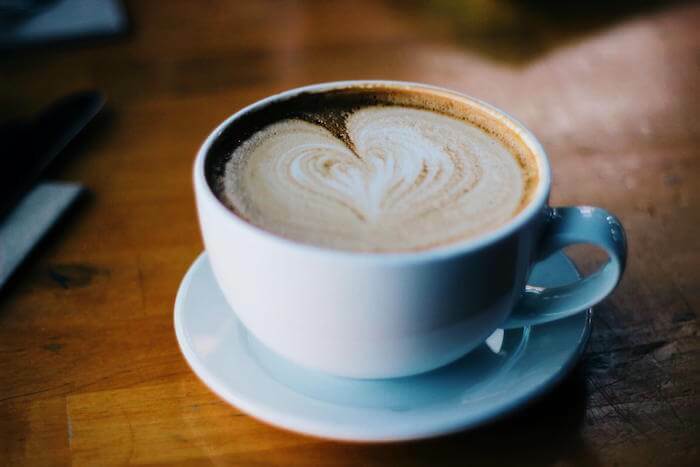 🙂 The other idea that I love is the Monday Morning Coffee – our small team would really benefit from that, and I can’t wait to suggest it! Thank you, Erin! It sounds like your team definitely gets it! Love these! I think the Nerf Gun War would go over really well in our office. I’m definitely going to try and get that going! Thanks, Kendra! Who doesn’t love a good nerf war??? This is all nice to read! monday morning coffee is a great idea! we do bagel weds! The Nerf battle is a hit in out office! I can’t wait to try out the flowers and food truck ideas. Thank you! Post it Note Wars forever! But, seriously, group workout rules!! The post it notes wars sound awesome! We are having a party for our employees in October and I think we may have this as one of the challenges/games we are going to play! Thanks for the idea! I like #4. Seems like not just the individual with the fail could learn but the entire team can learn from an individual’s failure which doesn’t make it seem like of a failure at all. Love the post-it war idea. The best way to boost morale in my opinion is to recognize that work/life balance is important and stick to 40 hour work weeks so that your employees can go home and unwind. So many great ideas here. I love the nerf battles Idea – I wish our office space was large enough for an event like that! I am working now to pull some volunteer opportunities together. I think that is great way to do some team building as well as get the company out into the community. These are some really cool ideas! These are all great ideas. Some familiar, others more unique. Personally love the Monday Morning Coffee w/ your boss. The one-on-one time is nice and it helps to build relationship w/ your boss, giving you the opportunity to talk about anything you want…whether work related or not. Great to get out of the office to before you get into your weekly grind. I like the Monday Morning Coffee Idea. Good idea to start the week. I love all of these ideas! My company does “Beer Fridays” it’s a social gathering where we all drink and eat awesome snacks! Every couple of week I choose a team to throw their own themed part. They love getting creative, and being able to choose what they do. We do several of these already, and our employees love them. After I read this blog the first time, we tried out a few more. We’ve done a clothes swap, had a food truck come out to the office, and next month we are doing some volunteering together. The food truck (which didn’t cost the company any money) was a huge hit! Everyone loved the convenience of it and that it was something different from the norm. They also appreciated the company arranging it for them, and many have asked for us to do it again. The importance of activities like these is so undervalued these days. I love the ideas! I think the nerf battle idea will bring joy to so many in the office who are still kids at heart. All of these are great ideas! These are all awesome ideas! Thanks! Hi there, very excited to see some of these ideas. I work for a federal agency so some of these things we can do and some we can’t. Any ideas for things we can do in the federal government? Indeed a great read to share. I’m on our strengthening staff committee. We have implemented several things. We have an egg hunt every year just before our Easter monthly meeting. We have Secret Summer Santa where we draw names in June and for 2 months we secretly put thoughtful things on each other’s desk without getting caught. We get pretty creative. It’s awesome! We also have an owl garden statue that we have every month at our meeting that we named Owlbert. We draw a name and celebrate that person’s awesomeness but clipping paper feathers all over it with positive things our coworkers think about them. The get to have Owlbert on their desk all month. These are all amazing ideas, Cindy! Thanks for sharing! These are some amazing ideas! I was researching ways to get the people in our building engaged because the days get dull very easily over here compared to our main building. I’m definitely considering Coffee Monday and group yoga.